La Saint-Sylvestre avec Créole du Nord à Chelsea! New Year's Eve Party! Two pieces of info: 1. Info about the Chelsea alehouse invitation and 2. Info about Creole du Nord. 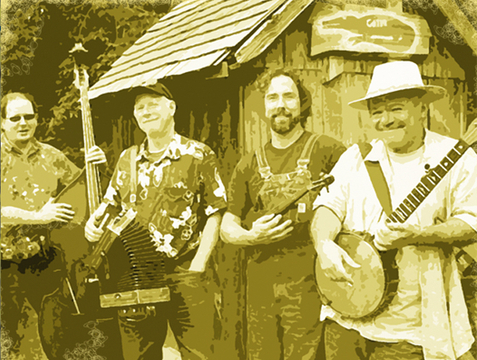 Ring in the New Year at Chelsea Alehouse Brewery with Cajun & Zydeco music, party favors, yummy food, great beer, door prizes, photo booth, and more! Tickets are $30 per person and must be purchased in person at Chelsea Alehouse Brewery (limit 4). Ticket price include hot & cold appetizers all night, deserts, two drinks, and midnight toast! Additional drinks can be purchased at a discount throughout the evening. Admission for FOUNDING MEMBERS and MUG CLUB MEMBERS ONLY on sale NOW. Admission for GENERAL PUBLIC available beginning Tuesday, December 17th. Add yourself to the guest list IN PERSON at Chelsea Alehouse Brewery located at 420 N. Main Street, Suite #100 during regular business hours. Admission is first-come-first-serve and WILL SELL OUT. An individual may purchase no more than four tickets at a time. No one under 21 admitted after 8 pm on New Year’s Eve. Valid ID required to enter. We reserve the right to deny re-entry. Please contact Aubrey Martinson at Aubrey@ChelseaAlehouse.com with any questions. floor ..that’s what we’re really talking about." So, come hear the band, move a little, and have some fun. So...Where's the passion? - traditional music ! It seems that old time music and Louisiana music bring a real element of passion to this band. It’s become of mission of of band leader Mark Palms to find Cajun tunes, waltzes, and old time fiddle music that lifts the spirit. “Creole du Nord” is proud to be a small part of keeping this passionate music alive. So if you find us playing for a community event, a festival, or simply for pleasure... we hope you enjoy what you hear and can appreciate what we love most. Mark Palms joined FIAA recently and told me about this. He plays accordion and fiddle. If you can go, it should be a lovely and fun gliding (guten Rutsch) into the New Year. Enjoy! You will pay by going on line or by calling. Do it quickly. It will sell out. Tired of using the creams or go for the surgeries or treatments. Then try miracle bust pills to increase breast size miracle bust as it is as easy as taking a daily pill which does the work. You are looking for something that will only help you to understand things on environmental assignment writing service. It has been a great way and we will look at it. It's going to be great if they know about it. Wait!! This class is in Chelsea, MI, which we think is kinda far away from .